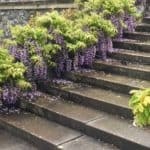 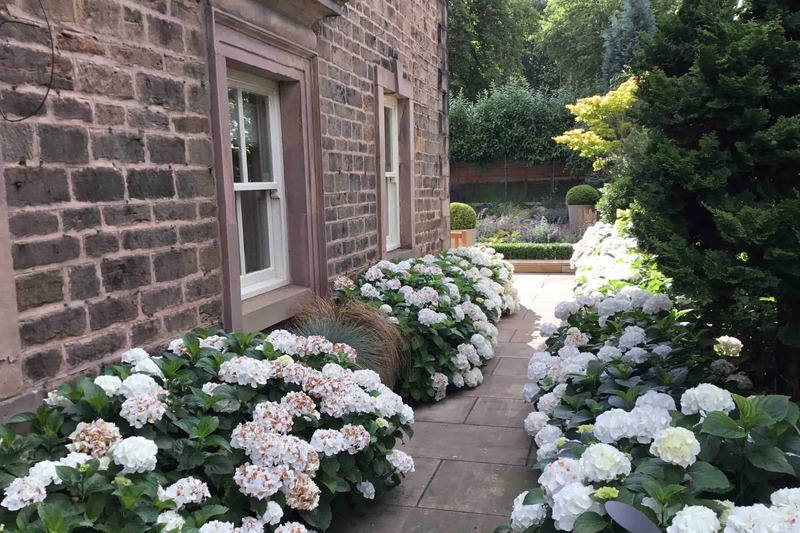 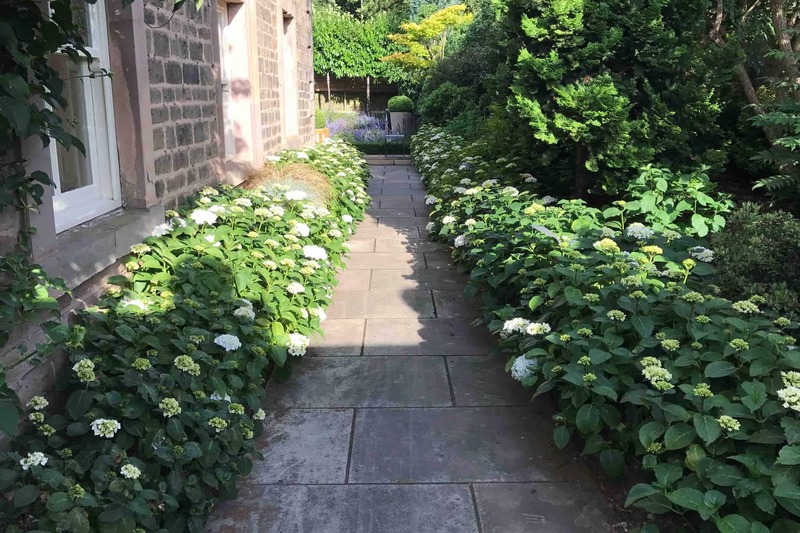 This beautiful modern country courtyard garden is located to the side of a listed property and is accessed either via an avenue of late summer white flowering Hydrangeas, or from the formal library. 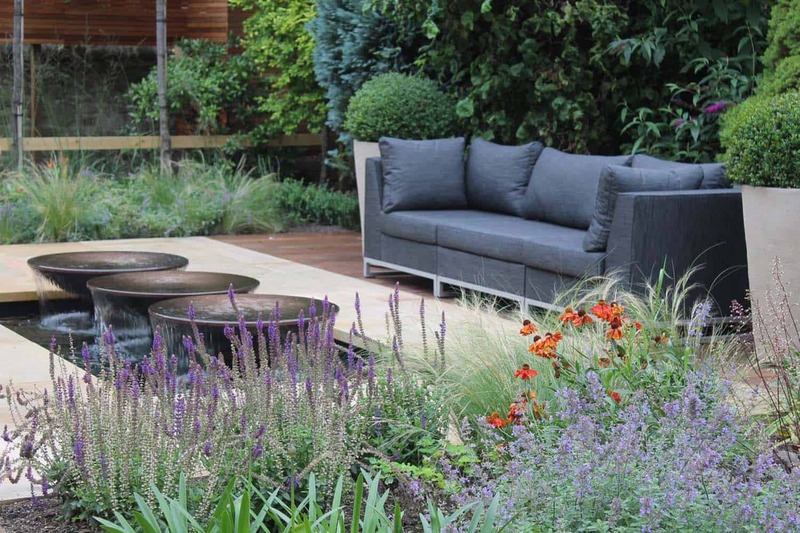 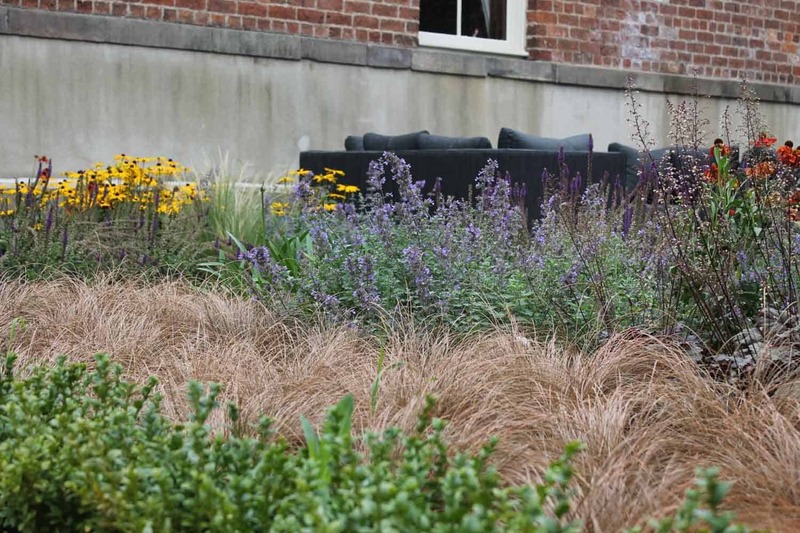 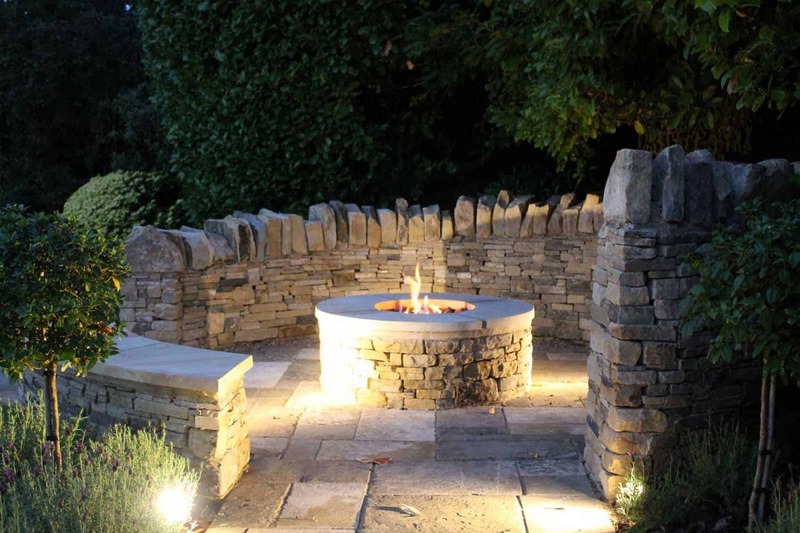 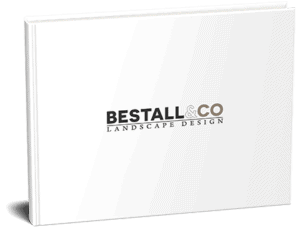 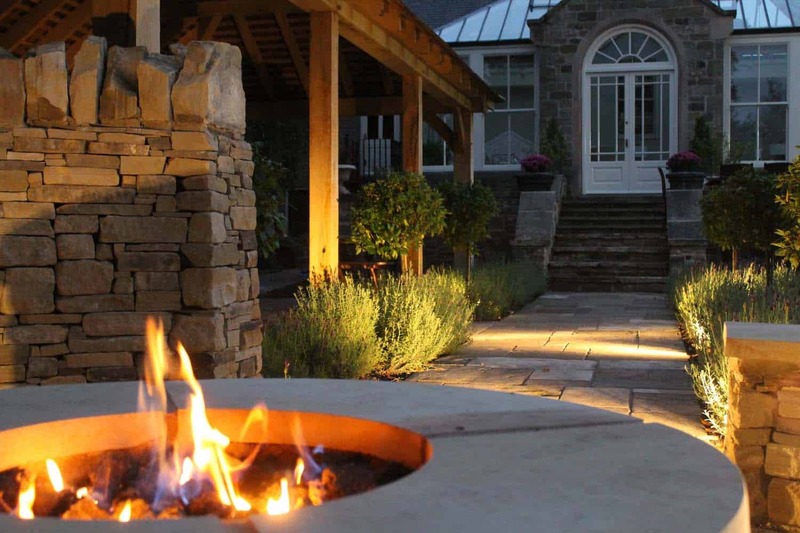 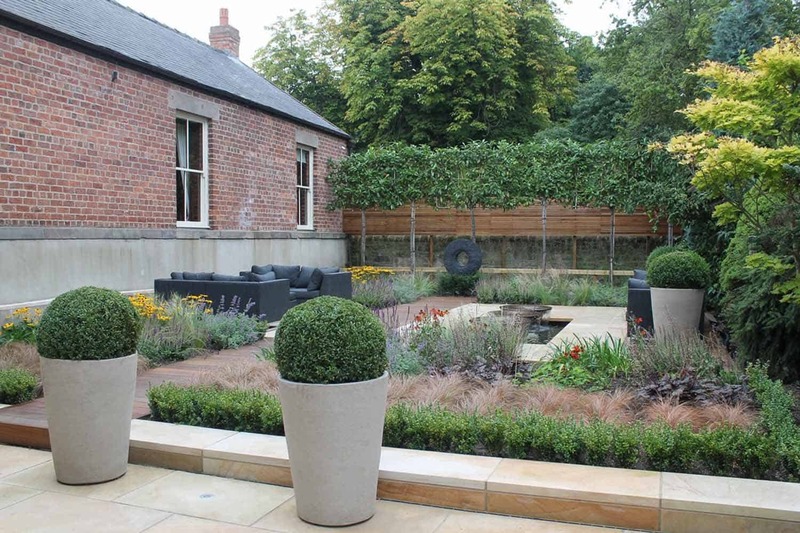 Furnished with waterproof all-weather sofas, and accessorised with hand made planters, complete with a display of sculpture from stone artist James Parker, make this outdoor living space comfortable and visually interesting. 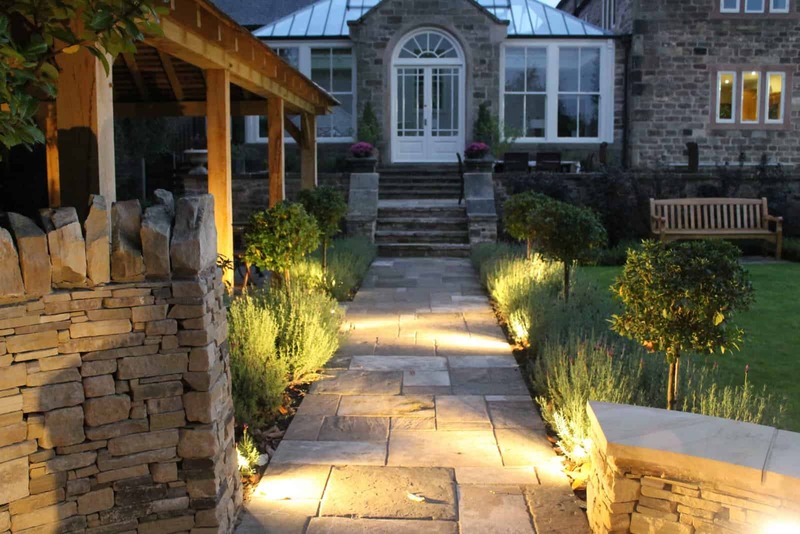 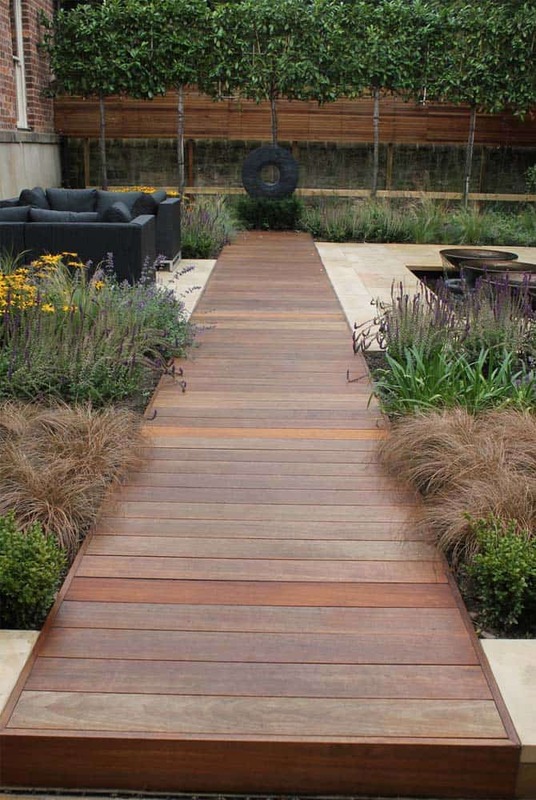 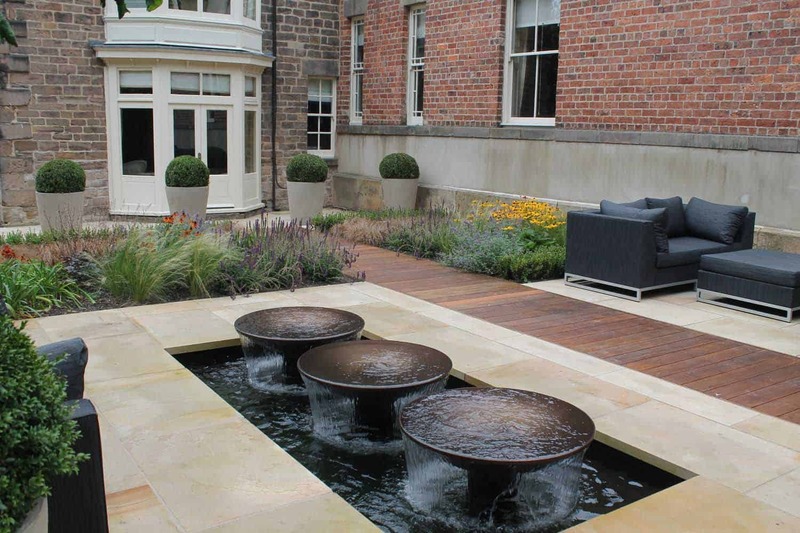 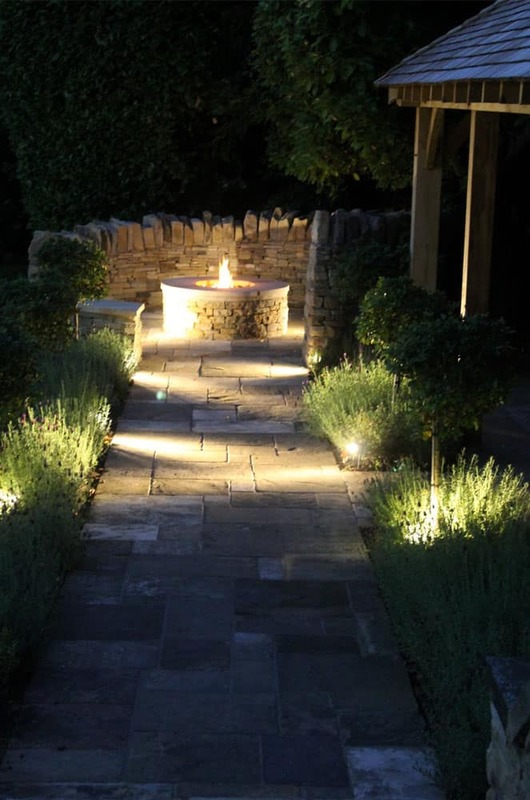 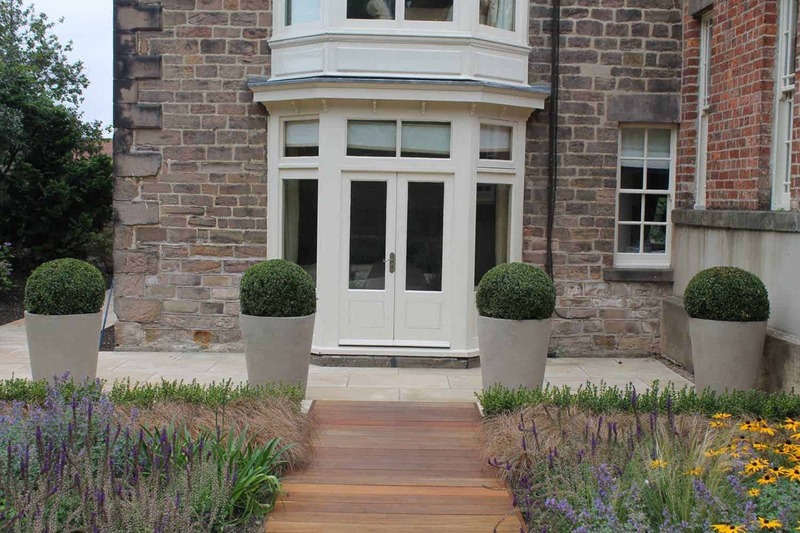 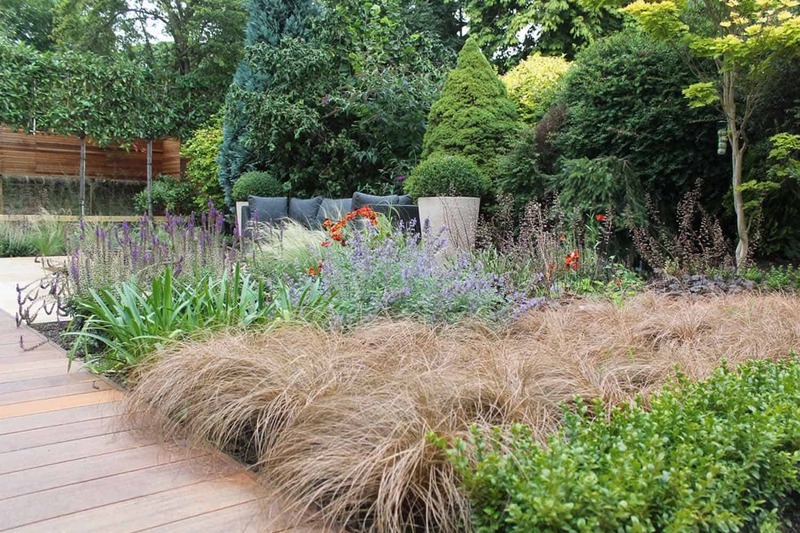 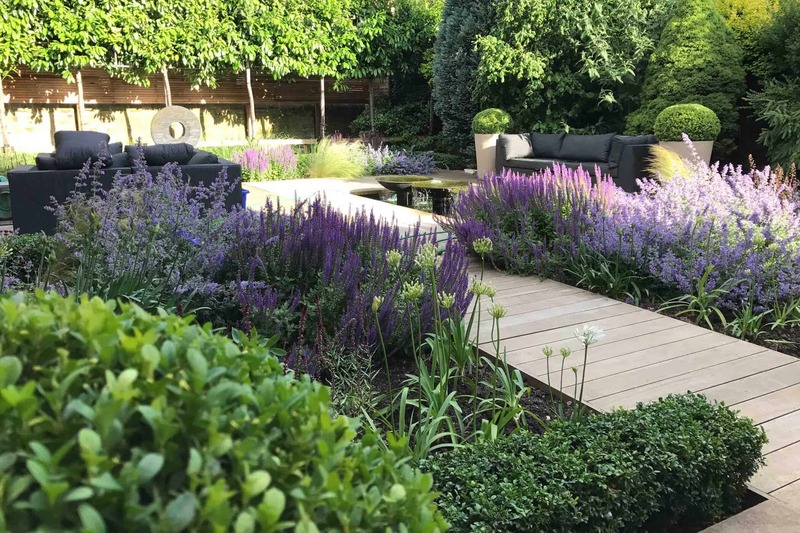 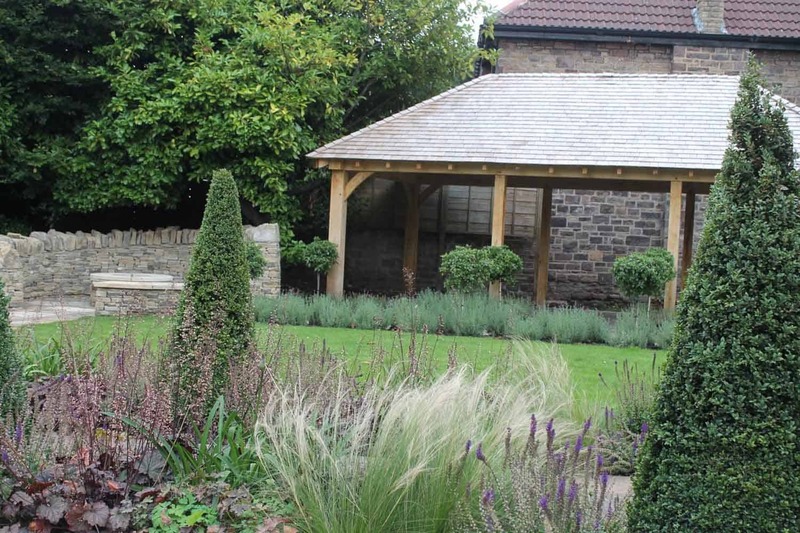 Sawn Yorkstone paving bounces light back into the space, and is softened with Iroko decking and planting. 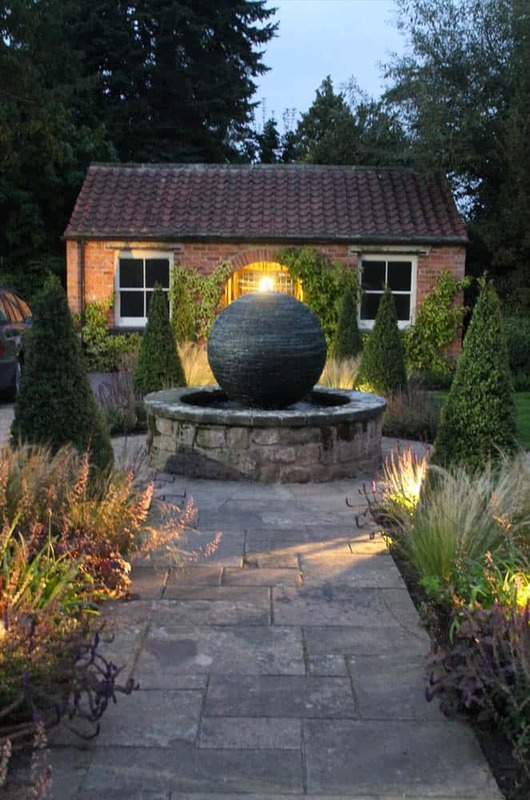 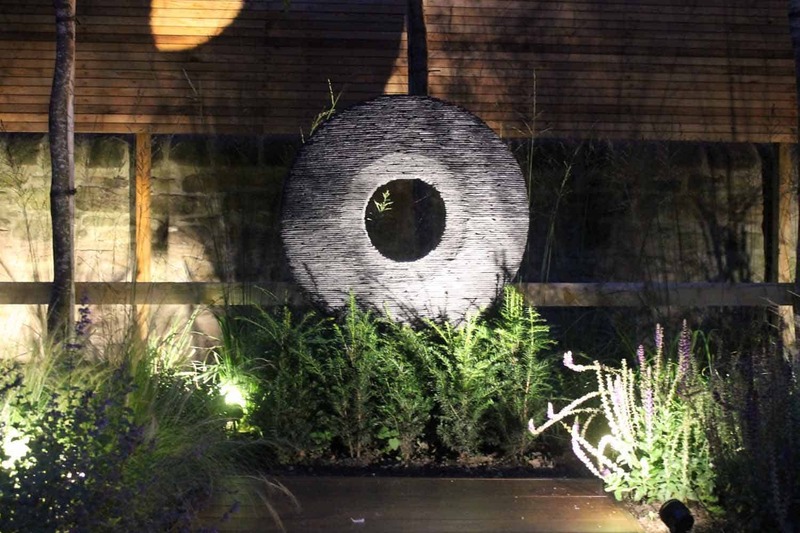 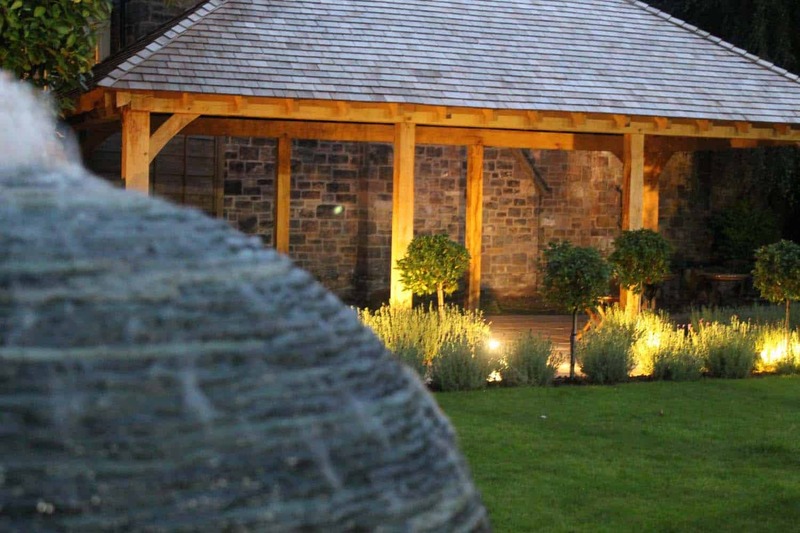 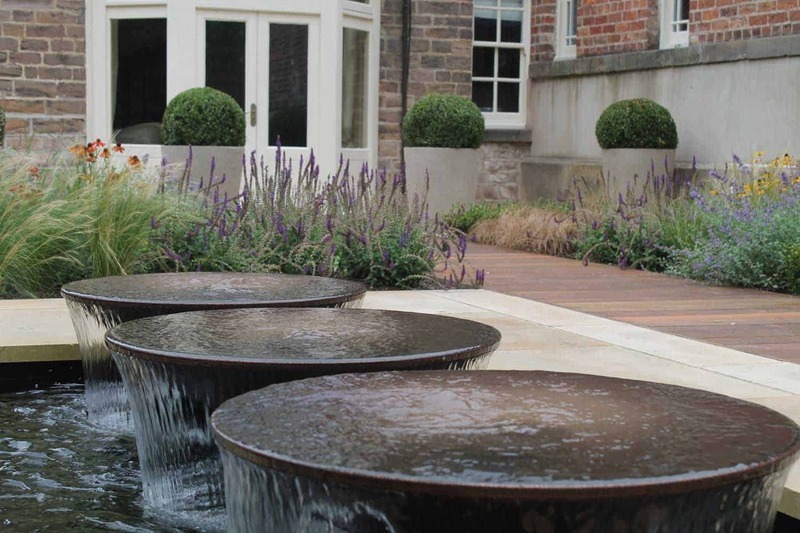 Subtle lighting illuminate the pleached trees, sculpture and planters and local road noise is made less noticeable by the introduction of three bronze effect overflowing water bowls. 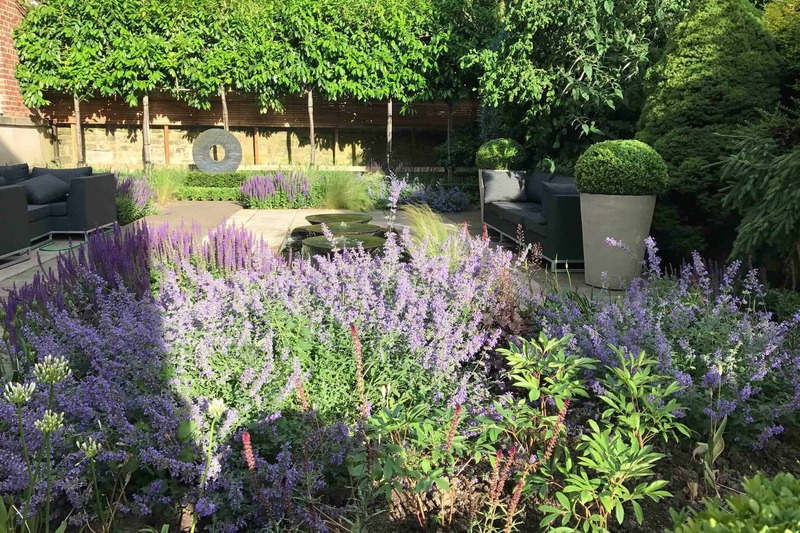 Two years on and the garden has given the clients much joy. 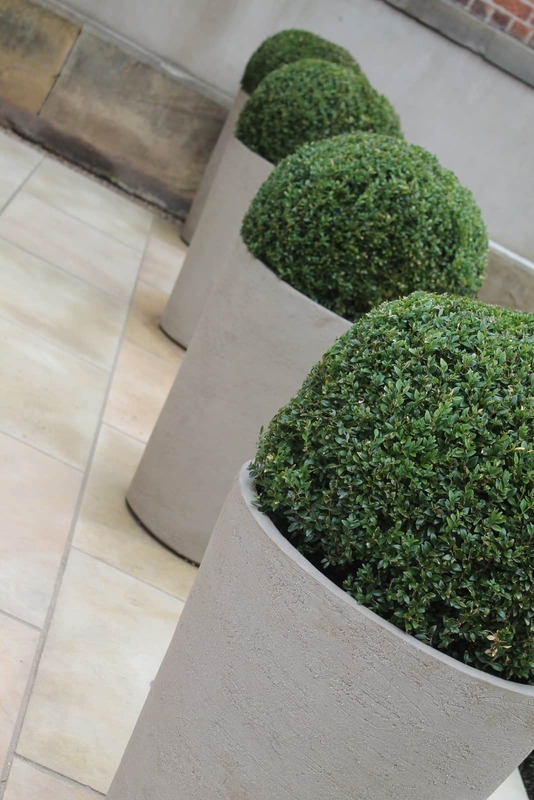 We are in regular contact the the family and maintain the planting three times per year.